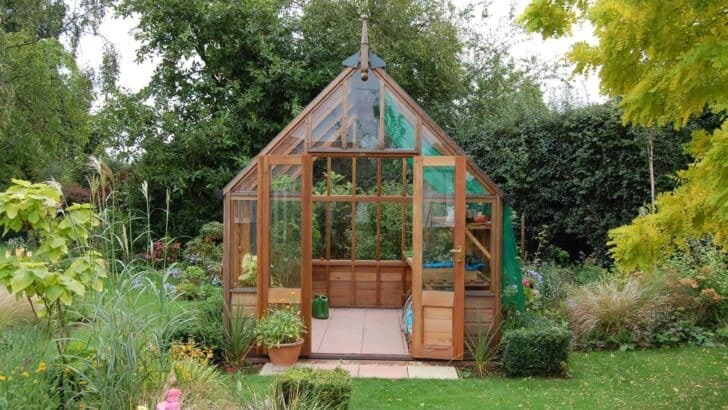 Buying Guide: How to Choose a Garden Greenhouse? 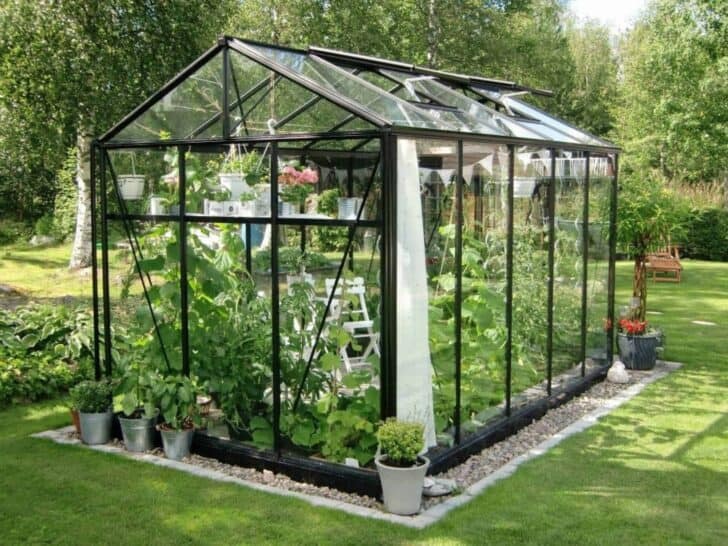 The avid gardener can not do without a greenhouse. Because when you love your garden, it is frustrating to see his efforts undone by unpredictable weather. Well protected elements, the seedlings are prepared, start the plants and even cultivated, well beyond the end of the season. How to choose a greenhouse? How to equip? Can we heat it? There are several types of greenhouses: the mini for balconies and terraces, large, genuine small glass houses and tunnel greenhouses, under plastic sheeting, dedicated to growing vegetables or flowers. These are highly technical equipment. So at the time of purchase, keep your eyes open! 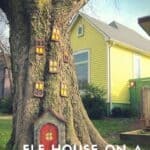 How to choose a greenhouse? Walls of glass or polycarbonate for my greenhouse? 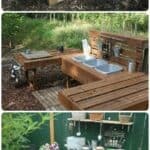 How to choose a tunnel greenhouse? Can we heat a greenhouse? To the balcony or terrace, orient yourself mini. They can cover between 1 and 2 m2 surface for a height of 50 cm to 2 m. You can shelter your fragile plants and grow a beautiful tomato plant. In this configuration, lean-to greenhouse is a good option. 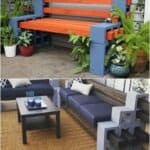 The plants benefit from the warmth of home, the floor space is restricted and taking the wind reduced. If you need a space to prepare your seedlings, start plants, store fragile plants, enjoy the green "hard". Transparent, it comes in several versions of structure (aluminum, wood) and the cover (glass or polycarbonate). These are small houses, some of which are real jewels: the greenhouses old. 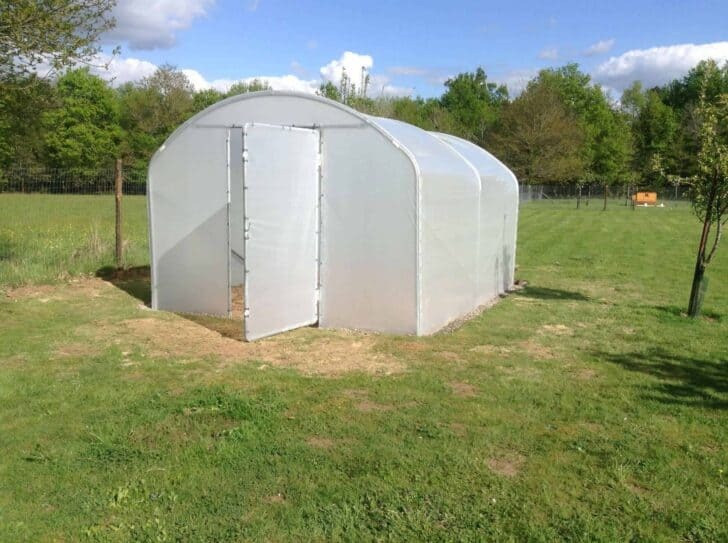 Finally, if you want to grow beautiful vegetables for the family without fearing the weather, the tunnel (greenhouse or culture) is your solution. With it, you harvest earlier and later in the season. Tomatoes from the garden at Christmas is appreciated! Some large greenhouses are available with glass walls, others with polycarbonate walls. Both materials have their advantages and some disadvantages. Glass is more durable but also more fragile. With it, the condensation does not drop (it flows along the walls) and we appreciate its beautiful transparency. Polycarbonate, it is lighter, easier to assemble and shock resistant. So what is the best option? It is the mixture of the two, polycarbonate roof because it is resistant to impact (hail or branches) and the glass on the sides, to take advantage of its transparency. For safety, choose a tempered glass that will not shatter into small sharp pieces. You can also choose a cathedral glass (hammered). Interior comfort is better, there is no magnifying effect and it delays the need for shading. Look 3 points: the diameter of the hoops, the quality of the ground anchor and that of the sheet. For hoops, take galvanized steel, with a correct diameter (ours are 40 mm). These hoops are to be held in place by reinforcements diagonally. The greenhouse should hold the ground, not only by the tarp, but buried feet (preferably platinum). Finally, the sheet has to be durable and packed with good thermal qualities to distribute heat. Attention also to the height of your tunnel. Some manufacturers offer free and high legs, which allow you to move comfortably and fully exploit the space on the sides. For your greenhouse in hard, different types of mounting are available. Some manufacturers recommend pouring a concrete belt, then attach the greenhouse. Others argue for a pouring the concrete than around the feet, in particular, if the greenhouse has a base (the lower part of metal which stiffens and provides squareness). Follow the recommendations related to your equipment. For the tunnel, most manufacturers recommend digging a trench to accommodate buried struts that connect the feet. Again, you must carefully follow the instructions on the installation guide. It is preferable to be two to properly handle and easy structure. The polycarbonate sheets and tarpaulins tunnel have a shorter lifespan than structures. Also, feel free to substitute your walls or your Rebacher greenhouse tunnel every 5/6 years. 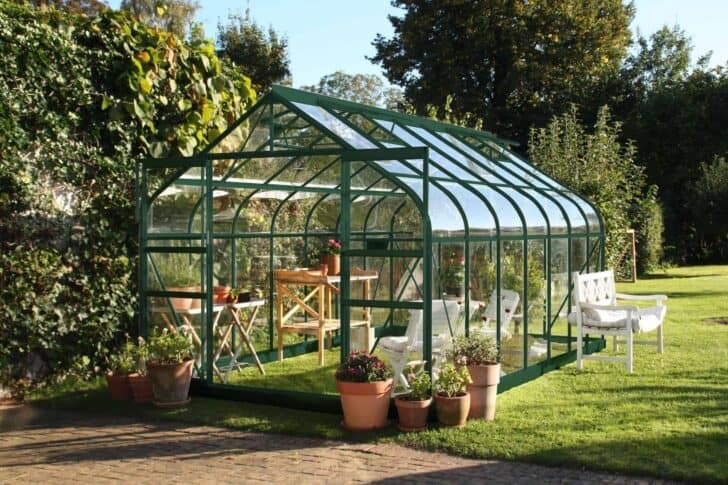 The installation of a greenhouse is subject to planning rules. Contact your town hall before purchase or installation. In historical or protected areas, regulations are often very restrictive. Thermal conditions are favorable for the growth of plants, particularly because the hot air remains inside. Must be regulated, however. In any season and more so in the summer, it must ventilate to ensure the renewal of air and prevent condensation. The doors, side vents, and skylights fill this role. At the time of purchase, these are points to consider carefully. The greenhouse she has skylights in the upper part? Is their opening manual or automatic? Is the greenhouse tunnel open on both sprockets to promote the passage of the air? Is the door lift? In summer, besides ventilation, it will install a shading system to prevent overheating: shade sails (above the tunnel) or shading screens. For tunnels, the sheet is also a decisive factor: it must be heat, or even better, and thermal diffusion to best protect the plants by filtering the light rays. In winter it can get very cold, it is sometimes necessary to bring a little heating in supplement during cold periods. We can start by putting wintering sails on plants and cover plans. can then be isolated with a horticultural greenhouse bubble wrap, excellent insulator but lets in light. Then last step, installing a heating. There are two types of heating on the market: the oil models are relatively strong but can maintain frost. If you want to make a positive temperature, it will invest in an electric heater.